Junctional epidermolysis bullosa is the sort of rare disease you are probably lucky to have never heard of. An often lethal genetic condition, from infancy it plagues its victim with painful blisters all over the body that causes the skin to become extremely fragile. In a major medical breakthrough, on Wednesday Italian researchers announced that they were able to almost entirely reconstruct the skin of a seven-year-old boy afflicted with JEB—and they used gene therapy to do it. It is a breakthrough that not only signals a potential curative treatment for a painful, heartbreaking disease, but demonstrates the great power that new technologies like gene therapy and stem cells may hold to address genetic conditions previously written off as hopeless. Typically, the way JEB is treated is to manage wounds and infections as they crop up, taking care to treat the body’s extremely fragile skin delicately. In the new research published Wednesday in the journal Nature, researchers from Italy’s University of Modena and Reggio Emilia describe using gene therapy to regenerate a fully functional epidermis covering approximately 80 percent of the body in a young boy with a life-threatening case of the disease. JEB is caused by mutations in the genes LAMA3, LAMB3 and LAMC2 which affect the production of a protein called laminin-332. This protein is essential to developing a healthy epidermis, and without it the skin is fragile and prone to infection and skin cancer. The young patient at the center of the new study had a mutation to the gene LAMB3. To fix this, researchers took skin cells from a part of the patient’s body that was not blistering. They then cultured those cells and genetically modified them to contain a corrected copy of the LAMB3 gene. They then grafted these new skin cells onto the patient’s body. Over the course 21 months, four-fifths of the boy’s epidermis regenerated, creating a new layer of healthy skin. 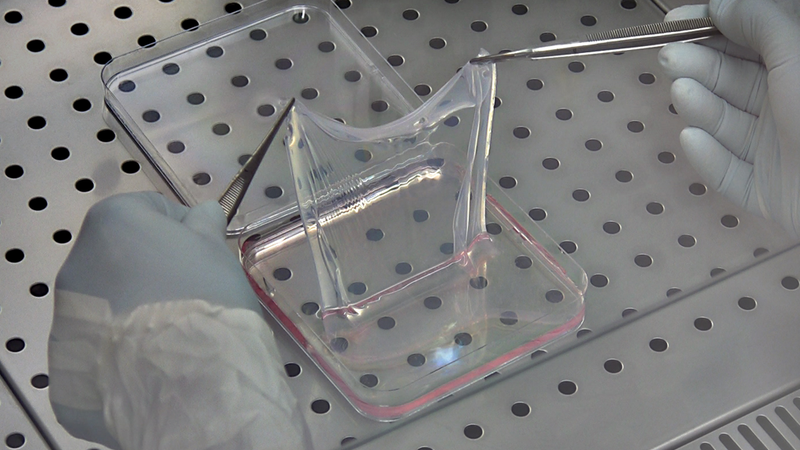 Testing showed that the grafted skin cells were regenerating within the patient’s body effectively. In previous studies, researchers had successfully reconstructed small areas of patients’ skin, but with this new approach, the researchers were the first to almost entirely reconstruct a patient’s skin. “Skin diseases are well suited for gene therapy since the tissue is directly accessible,” Topol told Gizmodo. Topol said the only downside was that in the long term, it’s possible that the condition could reoccur or cause troubling side effects like cancer. More extensive studies will be needed to see how the treatment works over the long haul and in other patients. Recently, gene therapy has made many impressive strides. Just last month, an FDA panel approved gene therapy to cure a rare eye disease.